This week on Second Class Cinema we watched a film recommended to us by the fine folks over at Bad Movie Sunday! We had the pleasure(?) 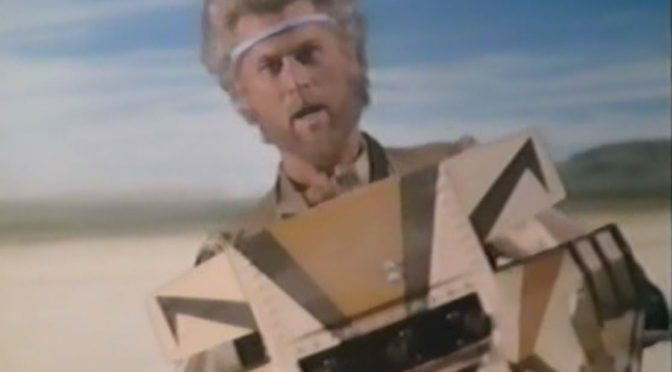 of viewing 1982’s “superhero”/mercenary oddity, Megaforce. When the peaceful country of Sardun finds itself at odds with their neighboring country of Gamibia, they have no way to defend themselves from an impending invasion- or even war. 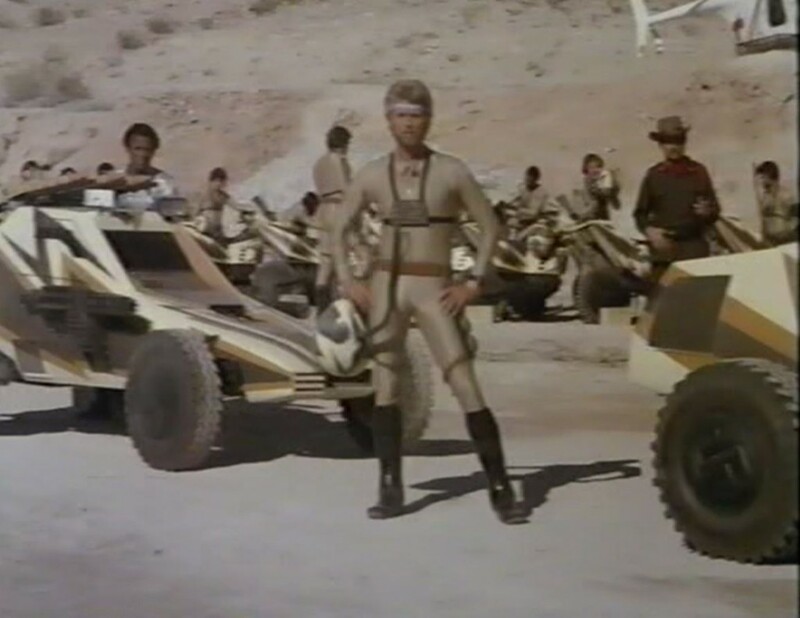 Enter Megaforce: a secret mercenary company comprised of soldiers from all over the world, headed by Commander Ace Hunter (a flamboyant, gold-spandex-clad Barry Bostwick). Sardun sends one of their military leaders, Major Zara, to request Megaforce’s assistance in crushing their opponent, Gamibia- which just happens to be led by Hunter’s old military pal, Duke Gurerra. The stakes are… Surprisingly low… as Megaforce uses holographs, spandex, and flying motorcycles to bring Gamibia to heel. We had some fun watching this one, although, it was difficult to figure out who the target audience for this film was. Listen up as we discuss awesome pyrotechnics, awesomely bad rear-projection scenes, and a grotesquely sappy thumb-kiss that no one should ever be subjected to. Ever. Thanks to our pals at Bad Movie Sunday for recommending this flick. Stand like it’s the cover of the movie!